1. Free Shipping: Every price you see for an advertised product on our website includes shipping; no additional freight surcharges are added on to your final bill when you order. 2. Free Batteries: When you purchase a mobility scooter from All Electric Scooters, a fresh set of batteries is installed in the unit prior to shipping. 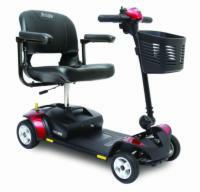 This is included in the price of the scooter - you will incur no additional fees for this! 3. Low Price Guarantee: Our track record as a leading supplier of mobility scooters and close relationships with the manufacturers of the products we carry allows us to give you, the customer, the lowest prices available on today's market. We're so confident that we have the lowest prices on mobility scooters and related products that we will offer double the difference if you find a better deal somewhere else. For more information on our Low Price Guarantee, click here. 4. No Sales Tax: No sales tax is assessed on any orders placed with All Electric Scooters, unless you live in one of the states where our call centers are located - Arizona, Georgia, or North Carolina. 5. 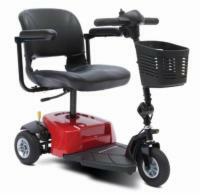 Great Available Warranty: Most mobility scooters that we sell are backed by an unbeatable warranty. Although our warranties vary by model, no matter which scooter you purchase, your investment will be protected. To learn more about specific warranty details, call and speak with one of our scooter specialists. 6. Low Cost Extended Warranty: If you'd prefer to have in-home service on your mobility scooter for a period of more than one year, we can arrange to provide you with additional coverage at a modest additional cost. Prices for warranty extensions vary depending on the scooter model that you choose, but in every case we can offer a 3-year in-home warranty for less than $325.00. Considering that a single routine service call will cost you upwards of $100.00 just for a technician to come to your home, this is a bargain that can't be beat! 7. 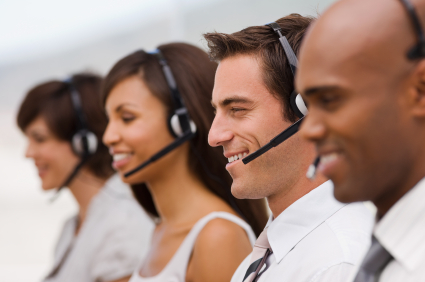 Top-Rated Customer Support: Having too many cooks in the kitchen doesn't always make for the best meals. We do our best to ensure that you only deal with a single point of contact when you order from us. The product specialist who takes your order can answer any questions you may have about delivery and shipping, as well as assist you in placing further orders if you realize you forgot to get something last time you called. All of our call centers are located inside the continental United States of America - we never outsource our customer service. 8. Factory Trained Experts: It takes more to ensure that a customer has selected the product that will best serve their needs than just a good phone voice and a thorough call script - yet that's how many online retailers do business. All Electric Scooters works closely with product manufacturers to ensure that our customer service specialists understand mobility scooters inside and out. That way, we can make sure that the scooter you order is the scooter you need, with all the features you want. 9. No Hold Times: Because we have fully staffed call centers in three locations across the United States, you'll never have to wait on hold or navigate through a confusing touch-tone menu to place your order. Call us with confidence that when we pick up the phone, there's a real person on the other end of the line, ready to help however they can! 10. Instant Coupons: Need a discount now? No problem - just click on the button next to the product you want that says, "Get a COUPON for this item!" Enter your email address, click Submit, and voila - we'll deliver a coupon directly to your email inbox for use when you call to order or check out online!